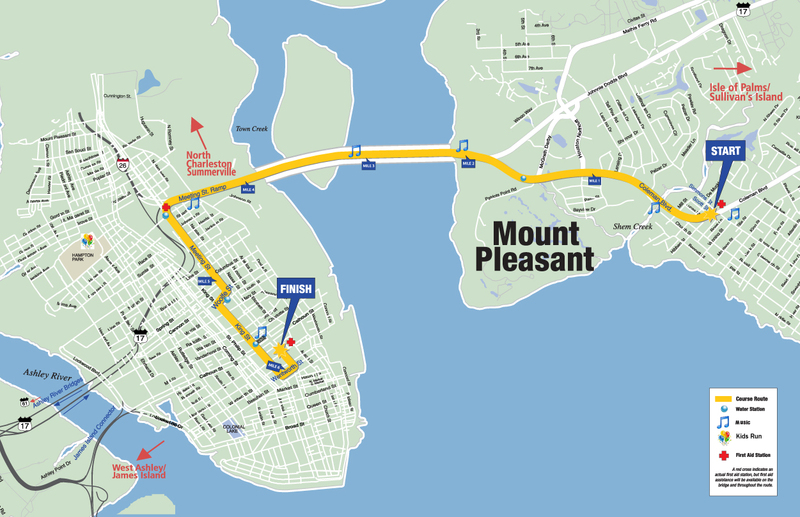 "This race is a must do as a Charleston resident! Very well organized, great route and loved the after party!!" The Cooper River Bridge Run is a Running race in Charleston, South Carolina consisting of a Kids Run/Fun Run, 10K, 10K Walk. The Cooper River Bridge Run Kids Run and Wonderfest invite you to beautiful Hampton Park in Charleston the day before the big Bridge Run. Events for the Kids will range from short distances up to a mile. In addition there will be a great party in the Park with fabulous activities, foods and drinks! T-Bone will be here to again lead everybody in making fitness fun! The addition, WONDERFEST will bring a multitude of new activities to the Kids Run including child entrepreneurs displaying their products, children entertainers and musical acts, top national toy manufacturers displaying the summer's hottest toys, a Wonder Works toy play zone with the store'sKeep Reading most popular toys, games and gadgets, and a free toy for every child in attendance. bridgerun.com	View Course Map	Incorrect Race Info/Update Race Details? This race is a must do as a Charleston resident! Very well organized, great route and loved the after party!! my wife and I ran the race with our almost 1 year old son. The course had the most amazing views and takes you over the Cooper River Bridge. I will always remeber this run and look forward to running it again next year! I absolutely had a blast during this race. The Race Expo was very engaging and informative. The views along the course were awesome especially when going over the bridge. I had a blast (and a laugh too) seeing all the costumes that people were wearing. I signed up for 2019as race the More...minute registration was opened!